This is a recipe for an epic healing salve that uses either broad leaf plantain or narrow leaf plantain. It soothes the skin, stops the itching of bug bites, and can be used to treat stings, scratches, bruises, poison ivy and more. Courtney of The Crunchy Delinquent shares her recipe for her Epic Healing Salve. It’s an incredible easy recipe to make. 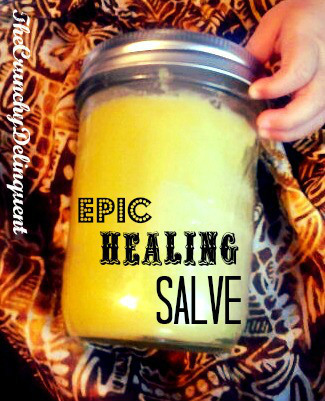 Click the How to Make An Epic Healing Salve link below to read her complete recipe.